Jake did it again! 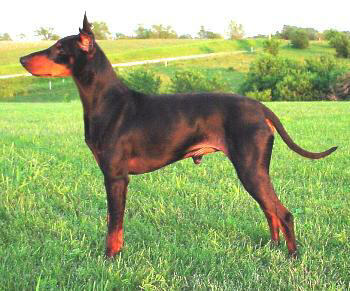 For the second year in a row Jake was chosen as Best of Variety (Toy) and Best of Breed at the AMTC National Specialty! He was expertly handled to this win by Jessy Sutton. "Clyde" went for a test drive with Tina and came home with the big ribbon after earning Best In Match! 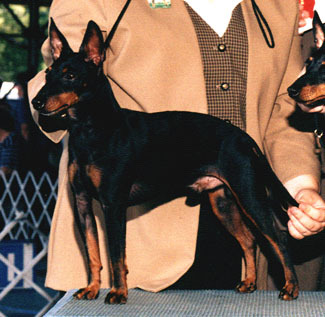 Clyde is owned by Kathy Baer, Bluemoon Standard Manchester Terriers. 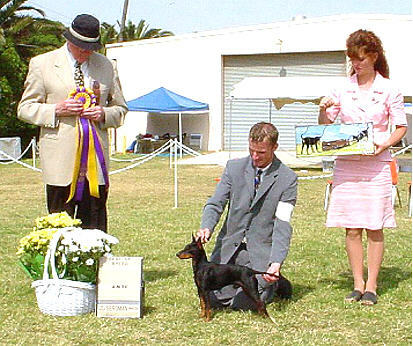 "Ravin" decided to give dog shows a try too and came home after winning the Toy group at the DKC puppy match! Clyde burst onto the show season with a fabulous weekend out in sunny New Brunswick! Attending 4 shows in 2 days Clyde would earn 9 points toward his Canadian Championship -- quite an accomplishment by any standards!